Victoria Azarenka won her first WTA singles title beating Marion Bartoli in straight sets at the Brisbane International tournament. 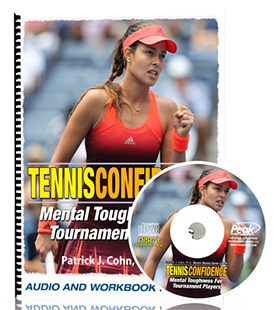 An improved mental game of tennis helps her earn first victory. What allowed Azarenka to break through and win a final? 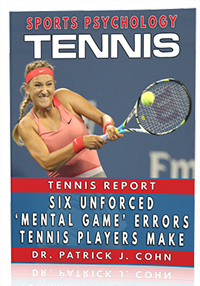 Azarenka’s positive mindset leads to her tournament success. She didn’t focus too much on the occasion, being in the final of a tournament. Some tennis players may feel the pressure to win their first event in the middle of the match. Most first-time winners protect their lead, play defensively, or try too hard. Azarenka viewed the final just like any other match. This mindset allowed her stay in the moment, focus on her own game and not get distracted by the excitement of the event. Many players tend to think negatively after making mistakes and lose confidence quickly. Negative thinking does not help your performance. You may beat yourself up, become frustrated or give up before the match is over. Azarenka learned to think more positively. She learned to play every point as if it was the first point of the match. You’ll be in position to win your first big match at some time. Be mentally ready to handle the challenge. Anticipate how you will feel in this situation and what you must focus on to succeed.